By CNN'S PHIL MATTINGLY AND LAURA JARRETT CONTRIBUTED TO THIS REPORT. (CNN) - A possible partial government shutdown is only a hand full of days away with President Donald Trump and congressional Democrats locked in a dispute over border security with no resolution in sight. Funding expires for a number of key government agencies on December 21 at midnight. And while there is still time to avert a shutdown, so far the two sides have been unable to reach an agreement to keep the government open. The key sticking point is how much money Congress should allocate for the President's long-promised wall at the US-Mexico border. Trump wants $5 billion, but Democrats are unwilling to agree to that and any spending bill needs bipartisan support to pass Congress, due in part to Senate rules requiring a 60-vote threshold to advance (Republicans control the chamber 51-49). If a shutdown takes place, it would be limited in scope. That's because Congress has already funded roughly 75% of the federal government through September 2019, including the Pentagon as well as the Departments of Health and Human Services and Labor. But that doesn't mean a partial shutdown just days before Christmas wouldn't be disruptive. There are still seven spending bills that need to be passed and funding is set to expire on December 21 for the Department of Homeland Security, the Justice Department, the Interior Department, the State Department, the Department of Housing and Urban Development and other parts of the government. 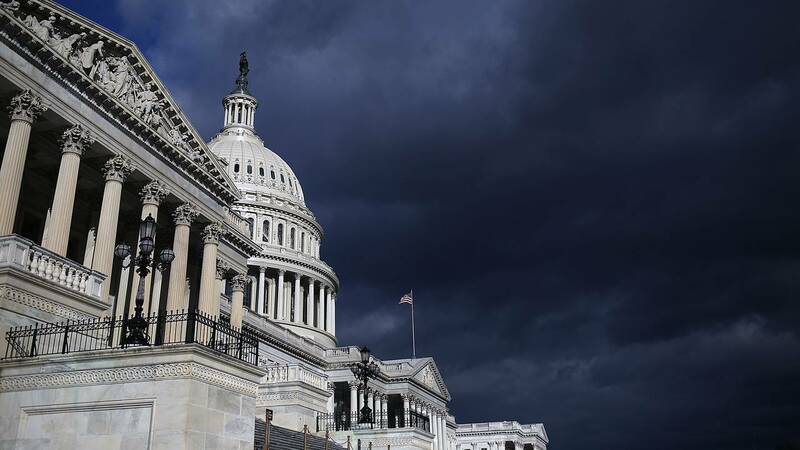 It is difficult to predict how a shutdown might play out and what impact it would have. But according to a fact sheet released by the Democratic staff of the Senate Appropriations Committee, more than 420,000 government workers are expected to work without pay if a partial shutdown occurs, including more than 41,000 federal law enforcement and correctional officers. The fact sheet, which outlines the projected impacts of a shutdown, estimates that the vast majority of employees at the Department of Homeland Security would be among those required to work without pay during a shutdown, including tens of thousands of Customs and Border Protection agents and customs officers. More than 380,000 federal employees would be placed on furlough, according to the fact sheet, including the majority of the staff at NASA, the National Park Service and the Department of Housing and Urban Development. An administration official told CNN that "If a lapse in appropriations were to take place, a majority of DHS activities would continue. For instance, those protecting our borders with the Customs and Border Patrol will continue to do so." The administration official said, "Additionally, activities that are supported by multi-year funding, such as FEMA's Disaster Relief Fund, will continue operations," referring to the Federal Emergency Management Agency. Jeremy Barnum, a spokesman for the National Park Service, told CNN, "We are not going to speculate on any possible change in government operations. National parks are open and continue to welcome visitors." The Justice Department oversees special counsel Robert Mueller's investigation into Russian interference in the 2016 election, but Mueller's office will be able to continue working even if there is a partial government shutdown. Mueller's office "is funded from a permanent indefinite appropriation and would be unaffected in the event of a shutdown," a Justice Department spokesperson told CNN. "The appropriation bills before Congress do not impact" the special counsel's office.